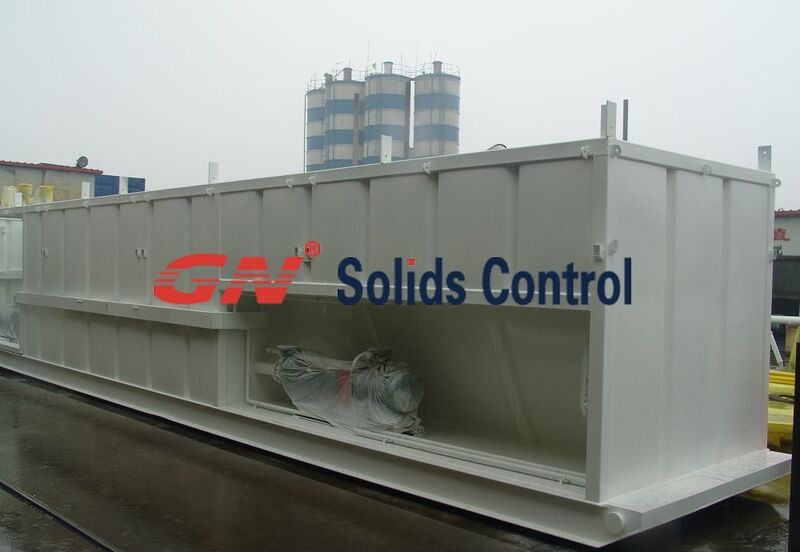 The mud tanks manufactured by GN solids control have been sold to more than 48 countries in the world, the application including oil & gas drilling solids control system, mud mixing system, mud storage, HDD mud recycling system, mining slurry separation system, etc. Now we will introduce various pipelines of mud tank system. Take a ZJ20 drilling rig solids control system as example. There is mud gun manifold for the whole system, and the mud gun involves all the tanks. Mediume pressure pipes connect tanks, which is sealed, reliable and convenient for installation and uninstall. The output manifold of mud pumps supply the entire mud manifold with mud fluid. Users can add input joint for mud medium pressure pipeline at the position showing in the figure. There is a brake valve at every mud gun, which can work independently; the mud gun is mainly used for agitating and transporting the mud. We can design and produce mud tank according to Client’s design, color, and all the specification. Welcome to contact us for more info. PLEASE GIVE M.O.C OF KCl-PHPA MUD TANK AND PAINT SYSTEM INSIDE AND OUTSIDE FOR THIS TANK. M.M.URGENT. Need air bags for flow line.Who would bring them or sell them please.